Pakistan last night swore a "befitting" response to an Indian airstrike in its territory after Delhi launched the first such raids against its neighbour in decades. Imran Khan's government said Delhi should prepare to be surprised and that it would respond at a time and place of its choosing after the predawn attack. Yesterday's raid sharply escalated tensions between the nuclear-armed adversaries who have gone to war three times since 1947. India said it had struck a pre-emptive blow against the Pakistan-based militant group it blamed for a suicide bomb that killed at least 40 paramilitary police in Kashmir on February 14. The Indian jets destroyed a hilltop training camp near Balakot where Jaish-e-Mohammad (JeM) jihadists were preparing an imminent attack, the country's foreign minister claimed. However, Pakistan dismissed that claim as "fictitious" and "self-serving", and said its own jets had intercepted the raiding force and seen it off. It said the Indian jets dropped their bombs "in haste" as they fled and they caused no damage, landing in forest. Villagers near Balakot said they had been woken by jets and four blasts in an area close to a JeM madrassa. But they denied heavy casualties and said the damage was largely to trees. One person was wounded. "We saw trees fallen down and one house damaged and four craters," Mohammad Ajmal, a 25-year-old who visited the site, told Reuters. 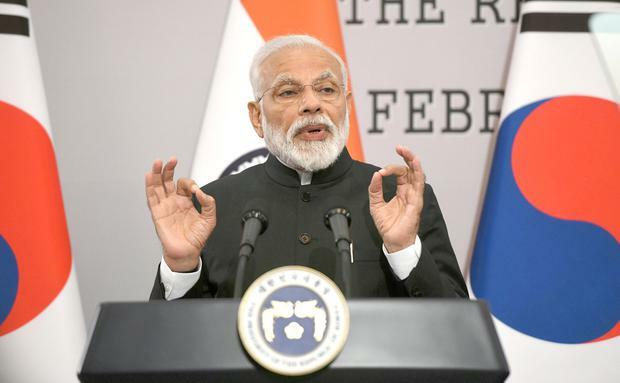 An attack was widely predicted as Narendra Modi, India's prime minister, faced domestic outrage over the bomb attack in Pulwama blamed on JeM. Pakistan has long been accused of harbouring militant groups. JeM is primarily an anti-India group that forged ties with al-Qa'ida and has been on a UN terrorist list since 2001. India says JeM was also behind attacks in 2001 on the Indian parliament and in 2016 on an Indian air force base. Pakistan denies involvement in the Pulwama attack. Western diplomats now fear any counter retaliation by Pakistan could dangerously escalate the stand-off and trigger an international crisis. With an Indian general election only weeks away, Mr Modi had come under intense pressure to act. As news channels on both sides of the border became increasingly bellicose, a Pakistani military spokesman even alluded to its nuclear arsenal, highlighting the escalation in hostile rhetoric. The spokesman said a command and control authority meeting, which decides over the use of nuclear weapons, had been convened for today, adding: "You all know what that means." The Indian strike 50km from the frontier was thought to be the first inside Pakistani territory since their 1971 war. Indian military sources said 12 French Mirage 2000 fighters crossed the line of control dividing the adversaries in Kashmir at 3.15am local time. Later there were exchanges of fire over the line of control, with Pakistani officials claiming Indian troops killed four people including two children.